Small to medium sized clubs — those run by a handful of part-time staff or volunteers — use club management software as an inexpensive way to automate nearly all of their administrative work so they can get back to what’s important: enjoying their club’s activities, and creating value for their members. The best thing about club management software is that it doesn’t matter what type of club you are — sports, hobby, social, or any other type of club — it can be tailored to fit your organization’s needs, and actually help you grow your membership and revenue. What is Club Management Software? Club management software offers an “all-in-one” management dashboard designed to integrate administrative and engagement tasks associated with running a member-based organization. Online registration and payments for members and events. An easy-to-update club website with an event calendar, and online resources. Simple member communication through automated invoices, emails, and newsletters. A full contact database that's easy to search, filter, and update. Financial reports, analytics, and membership summaries. A mobile app to let you manage and communicate with members on the go. Giving you a modern, mobile website, which is attractive to prospects and easier to find on Google. Automating member retention techniques like setting up renewal reminders, and recurring dues. Telling you which of your members are unengaged, so you can reach out to these people with simple win-back techniques. As soon as you select a club management software solution for your organization, you’ll see the real and immediate effects it can have on freeing up your time and helping you grow your club. Wild Apricot is the #1 rated membership management software used by 3,589 clubs across the globe. 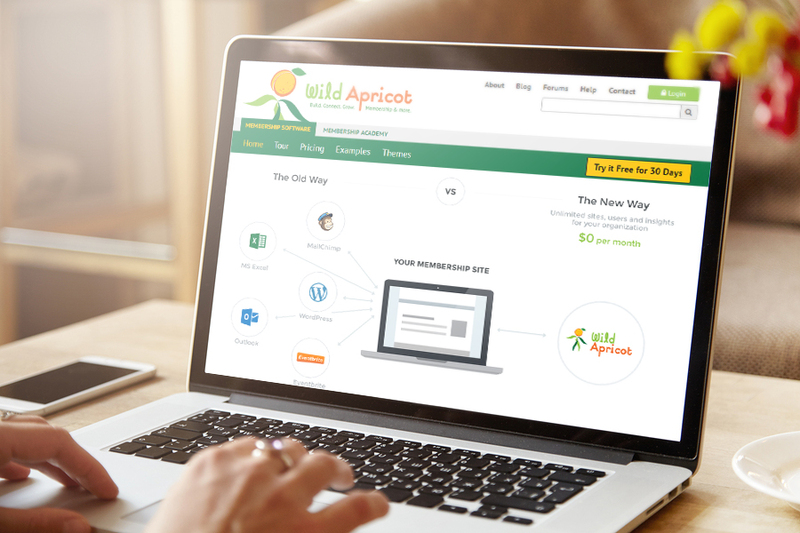 You can try a free, 30-day trial of Wild Apricot and have your club set up with a professional-looking website and easy to search member database in just an afternoon. "Because our club is short-staffed, Wild Apricot has been a lifesaver! It saves me over 20 hours a week and their support has been fantastic!" - Gary Rubens, Ski Club of Washington D.C.
Are there setup fees? Support fees? Additional transaction fees? How fast do you need the software setup? What specialized features will you need? Do you need integration with other systems like Quickbooks, or Wordpress? Another important thing to consider is which features you'll be using most. In the video below, I cover the 5 most important features most clubs consider before choosing their preferred option. And when you're ready to compare options, here’s a list of 25 popular ones to consider. I’ve sorted the list alphabetically and listed highlights of each option’s major features and pricing, so you can easily find the solution that suit your needs. Designed for total efficiency, AptusSoft Club Management allows admin access to all important aspects of their club on one, clear dashboard based on the business’s unique needs. This software offers membership management, automated billing and robust membership prospecting to further grow your club. ClubReady offers an intuitive web platform and app for everything from scheduling to staff timesheets. ClubReady is suitable for businesses from small clubs to large franchises. Features include reporting with specialized metrics to help inform sales goals, as well as automated member engagement via email and text messages. With Clubworx, clubs with up to 500 members can build customized websites for online scheduling and billing, as well as automated reminders and promotional messages. Admin can track club attendance and earnings as well. Built for clubs of all sizes, Club Automation brings all your administrative tasks together on one easy to use cloud-based interface. Features include billing and invoicing, payroll management, scheduling and member check in. The mission of Club Management Software by Club Systems is help your club to thrive through a simple admin platform and in-depth reports on sales and inventory trends. For a higher monthly fee, Club Management also offers back office services, which include a personal account representative to answer client’s billing questions by phone. Club Sentry software provides essential management tools including employee timesheets, automated messages to members, secure payment processing and event scheduling. Club Sentry is not web-based, but a free demo download is available online. Designed for high-volume clubs, Compete Club Management by Jonas Fitness integrates employee, inventory and payment management all in one place to save you time and boost cash flow. With an easy to use app for members and a clean, simple interface for processing payments and memberships for admin, EZ Facility Club Management offers comprehensive management for clubs of all sizes. Fitness Force gives scheduling, billing, sales, membership and analytics a home on one, integrated web-based platform. Glowfox puts sales, membership management and scheduling at your fingertips through an easy to use admin dashboard. Their software offers a uniquely tailored app and website portal, giving clients access to your club anytime, anywhere. Gym Assistant is an affordable option to stay on top of membership, payments and attendance all in one place for small to mid-size clubs. iGo Figure offers personal trainer scheduling, employee timesheet and compensation management, payment processing and door access for clubs of 50 members or less. Member365 is an all-in-one management system for clubs of all sizes, offering fully integrated billing, membership and marketing, as well as sales and engagement analytics to help you grown your organization and bolster sales. 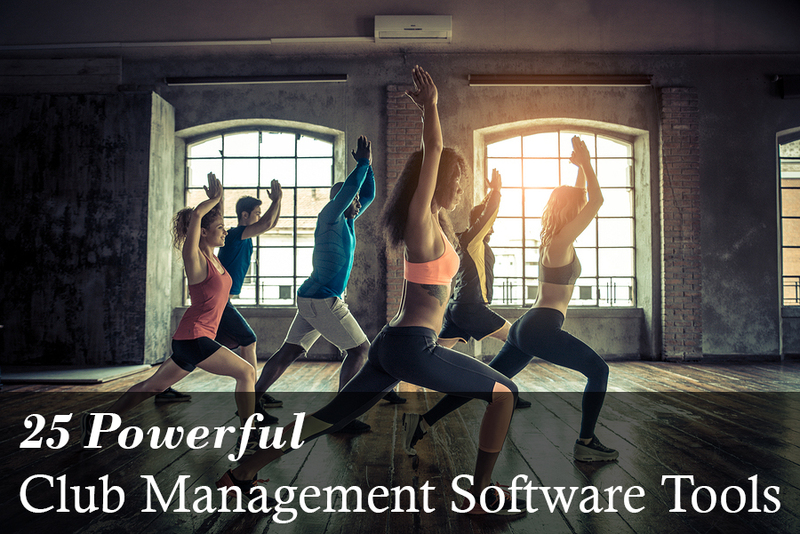 MINDBODY’s mission is to “take the work out of business” by streamlining marketing, billing, scheduling and sales reporting with an intuitive, cloud-based interface for clubs of all sizes. This platform also offers uniquely branded apps for member use with online booking, payments and reminders. Modern Club Management by Motion Soft offers it all on one webpage. Built with modern coding, this software offers a clean interface to change memberships, view sales reports, manage payroll and schedule classes. PerfectMind is a cloud-based, all-in-one club management solution for small clubs. Features include membership management, automated billing, integrated marketing and sales reporting. Save time and money by building your website and member portal with Portal Buzz. This affordable platform keeps it simple with focusing on member engagement and retention with intuitive websites for making payments, scheduling and communicating with admin. Raklet is a comprehensive membership management software. Some of their features include email and text messaging, a private social network, built-in social sharing tools and donations through text. RhinoFit does the work for you so you can save time. Designed to streamline billing, sales reporting, scheduling and membership, this web-based software allows you to complete tasks quickly and efficiently so you can focus on your clients. SquadFusion’s mission is to improve communication between club members. With payments, rosters and scheduling all on one central website, this cloud-based system makes staying connected easy for any squad. ShapeNet is a cloud-based management solution for small to medium sized organizations that offers a club-branded app for your members and a regularly updated admin platform to keep your business running smoothly. Twin Oaks is an affordable, simple web-based tool for club management. Features include online booking and billing through an interactive member portal, as well as automated marketing and reporting. Virtuagym’s software is built to boost member engagement. Through a branded app, clients have access to a mobile discussion community, as well as messaging functions for client-to-client and client-to-admin communication. The software saves admin time with automated payments, club access and sales reporting. Wild Apricot is the #1 membership management software designed for clubs. Features include a drag and drop website builder, a built-in emailing system, a mobile app, a member directory, a member's-only area, and automated member payments and renewals. Designed to save you and your clients time, Zen Planner invites admin to manage events, rosters, memberships, inventory and billing all in one location. Members have access to a clear, intuitive portal to make payments, schedule classes and contact admin. Thanks for all the info mate. A well explained article. BTW do you know whether http://www.cloudmesoft.com/ these guys are any good? Ones again thanks for the wonderful post.